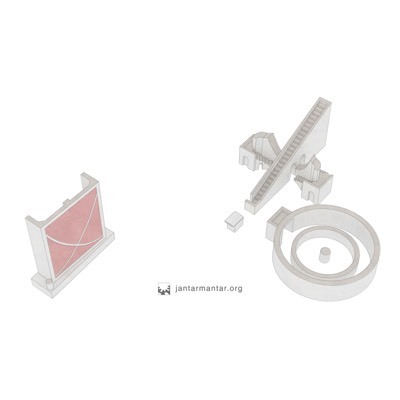 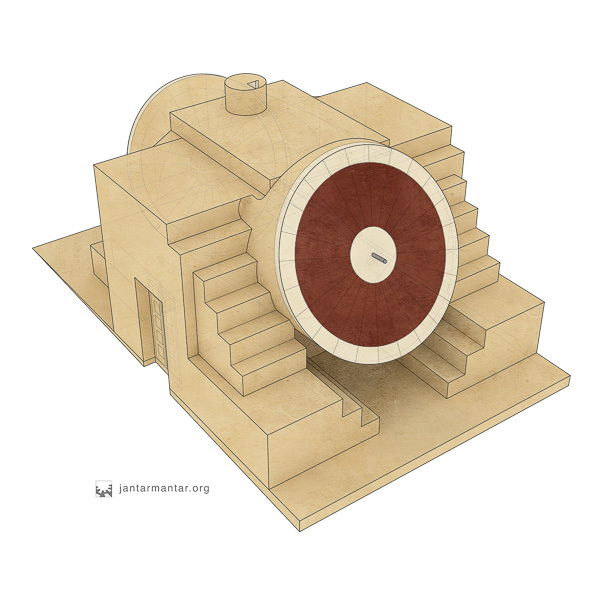 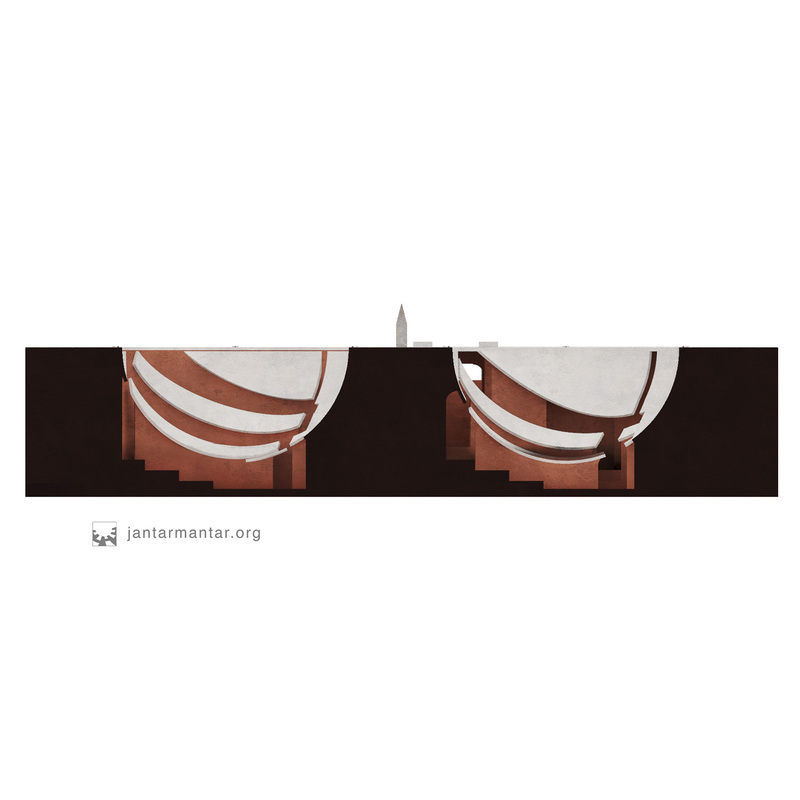 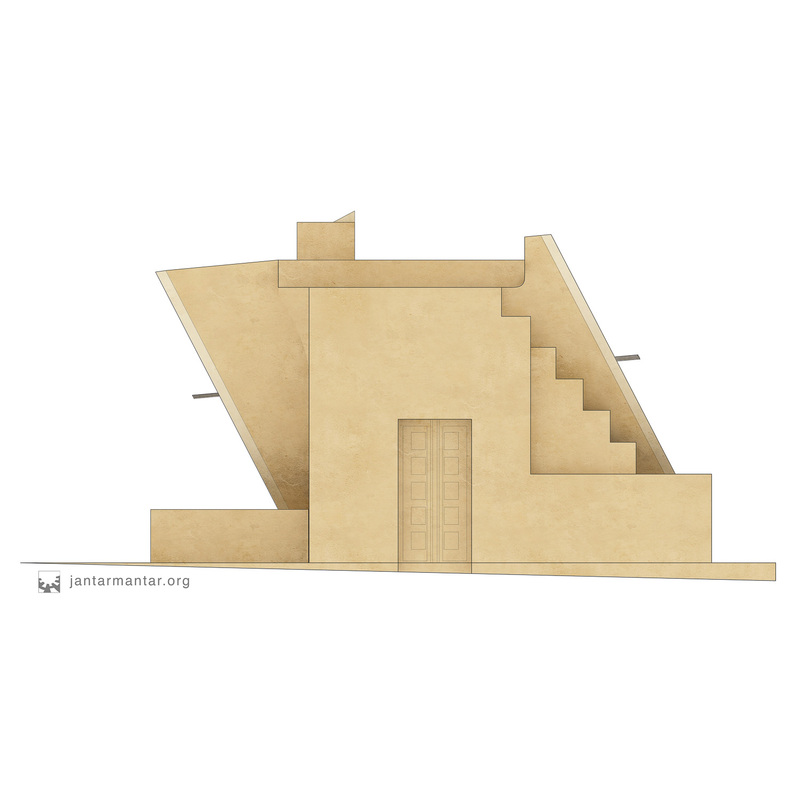 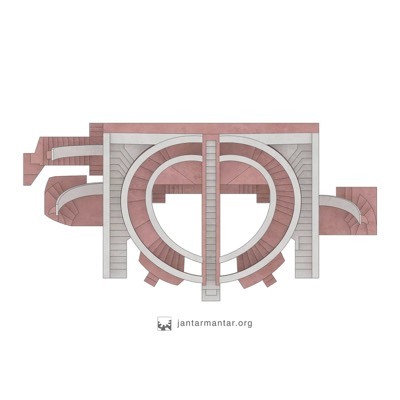 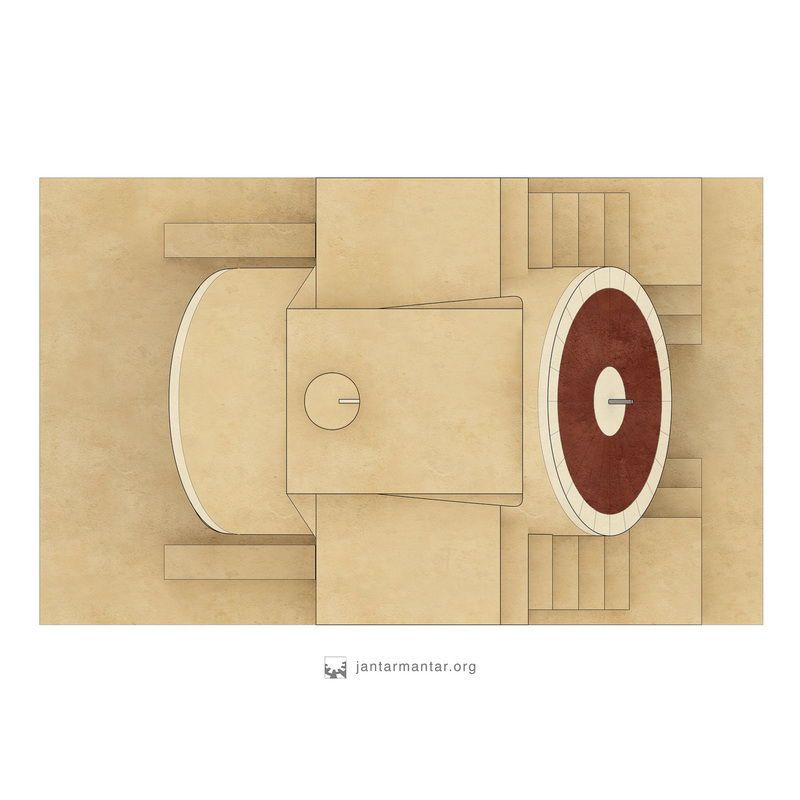 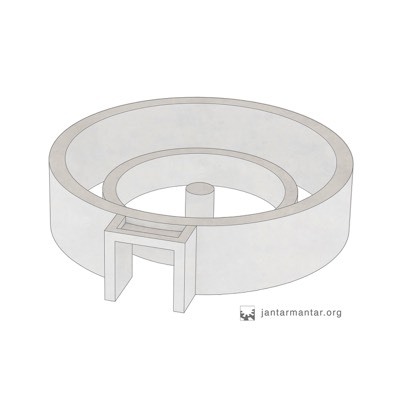 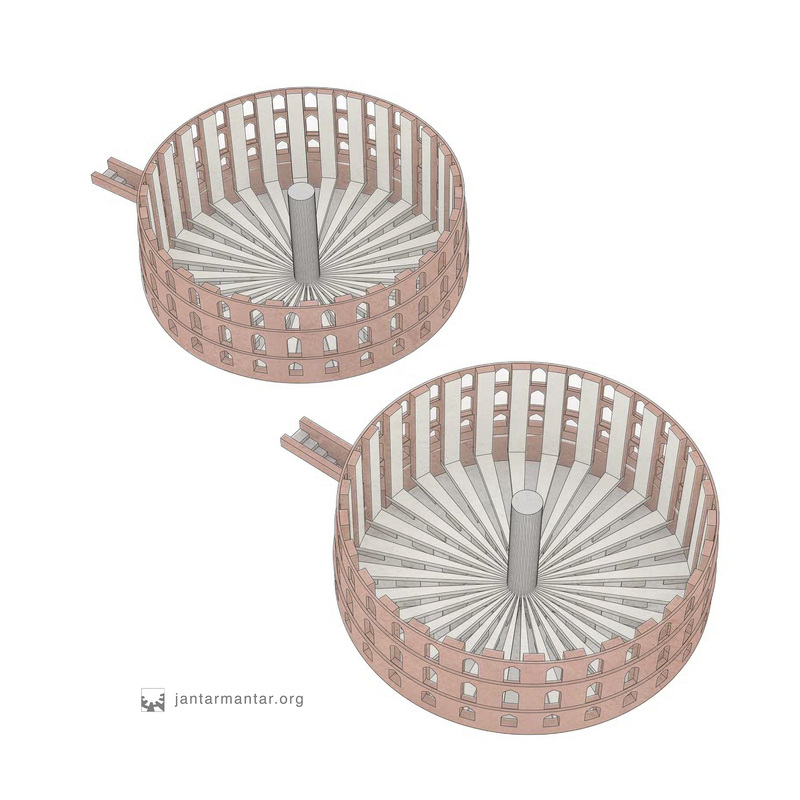 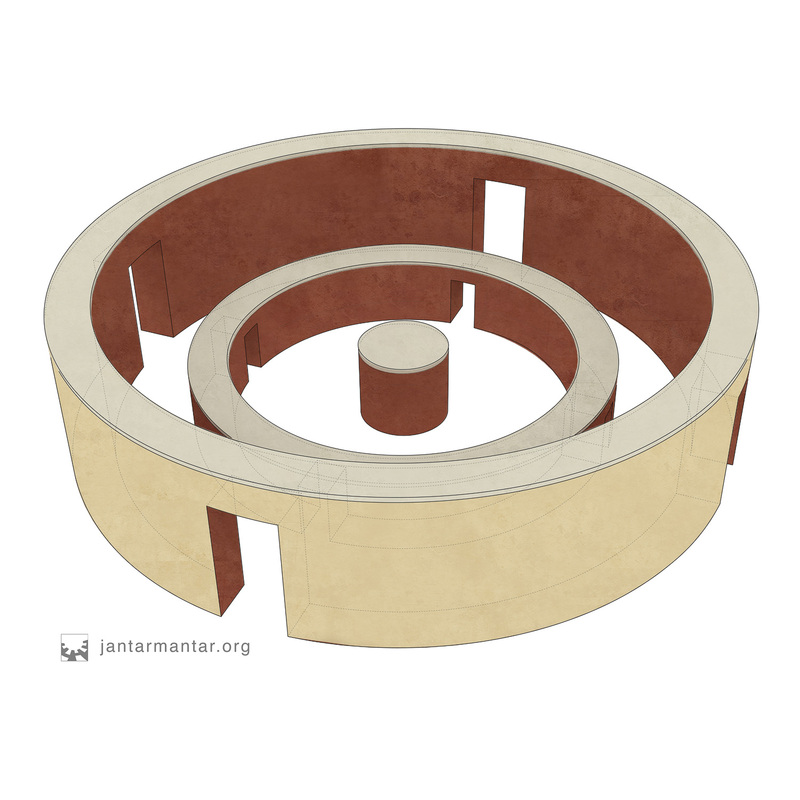 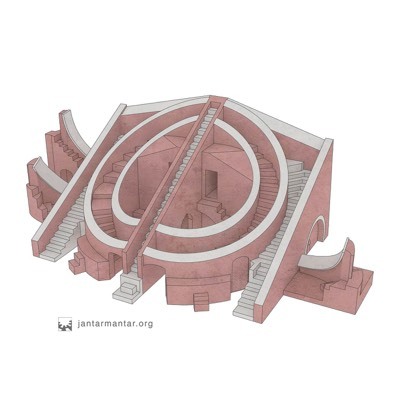 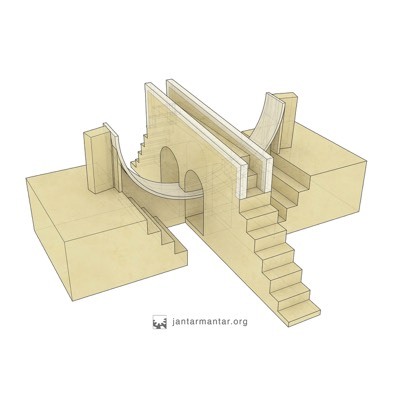 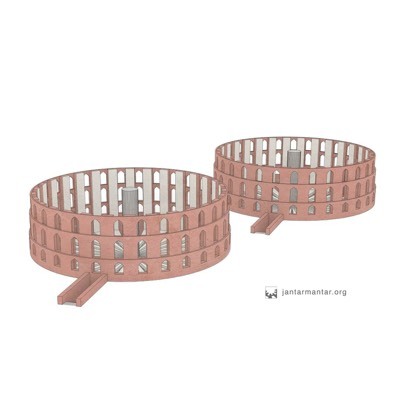 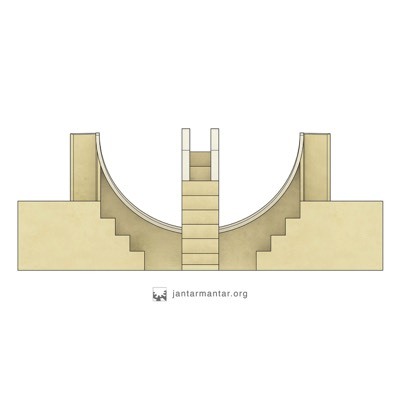 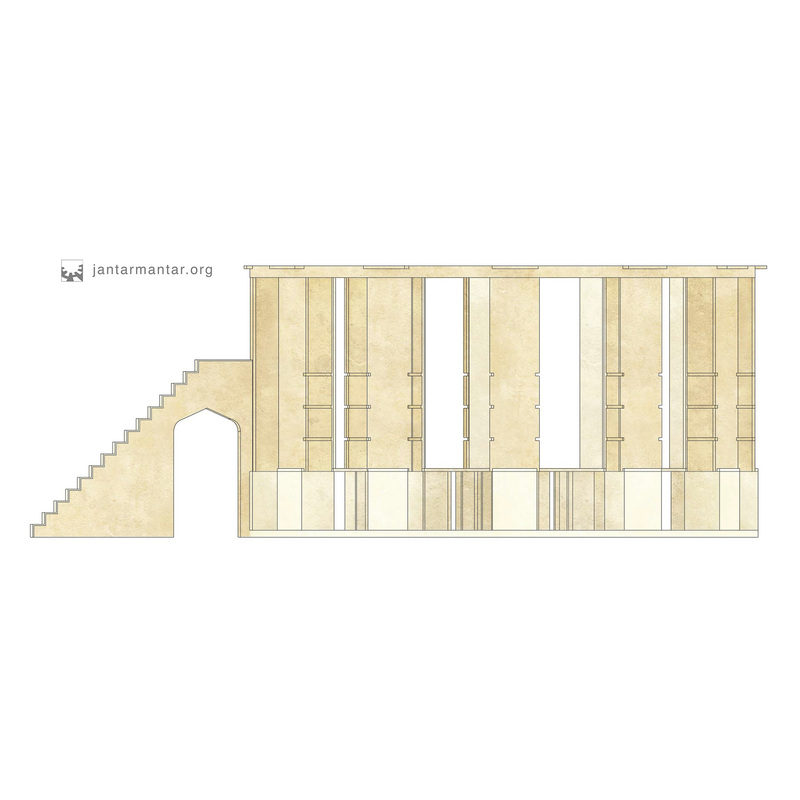 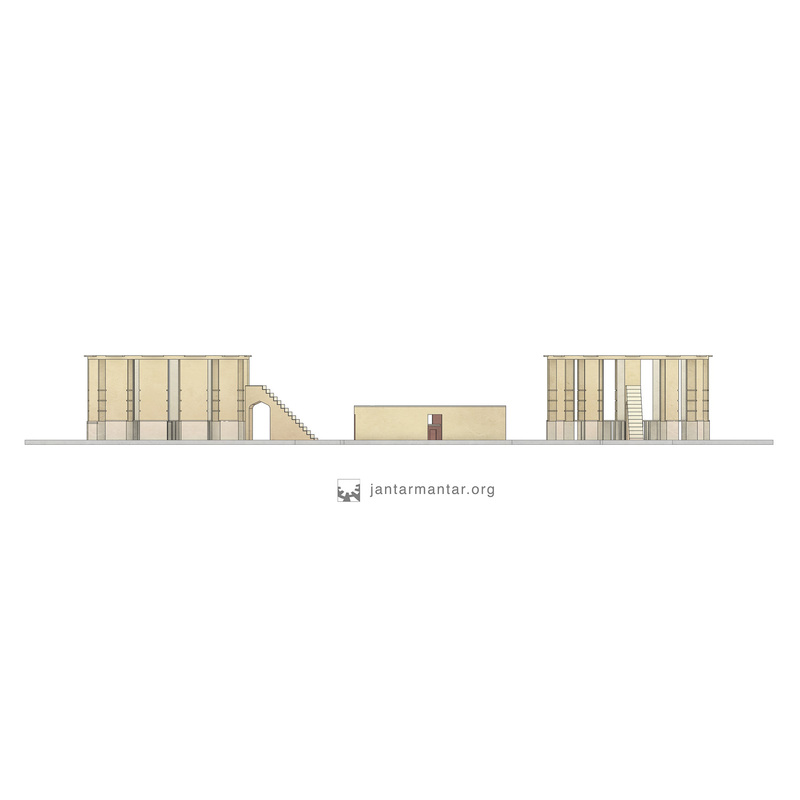 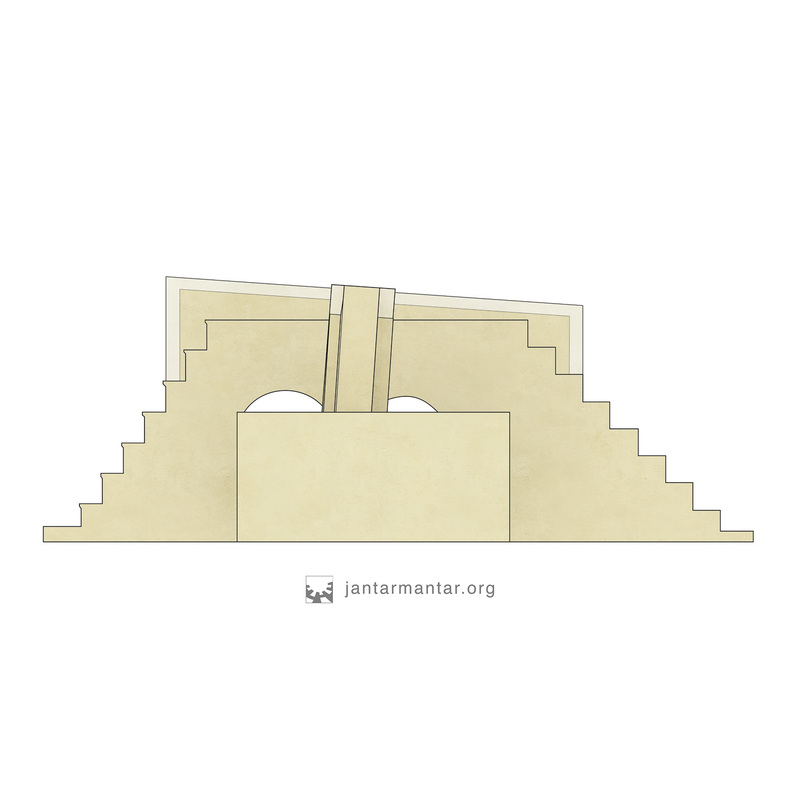 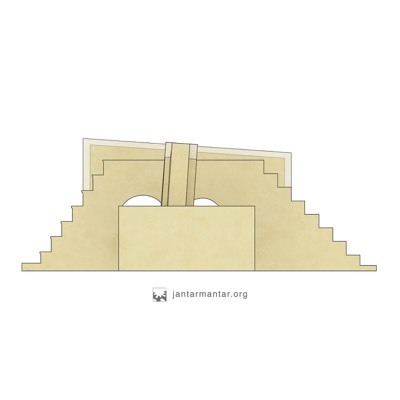 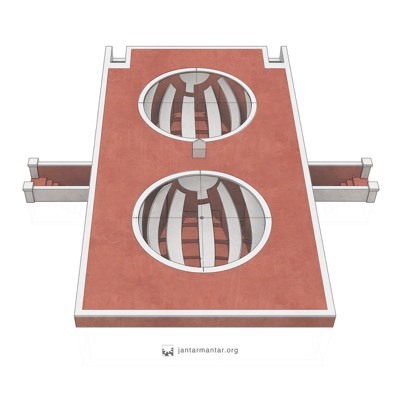 At jantarmantar.org we have been modeling the Jantar Mantar instruments since the project began in 2003. 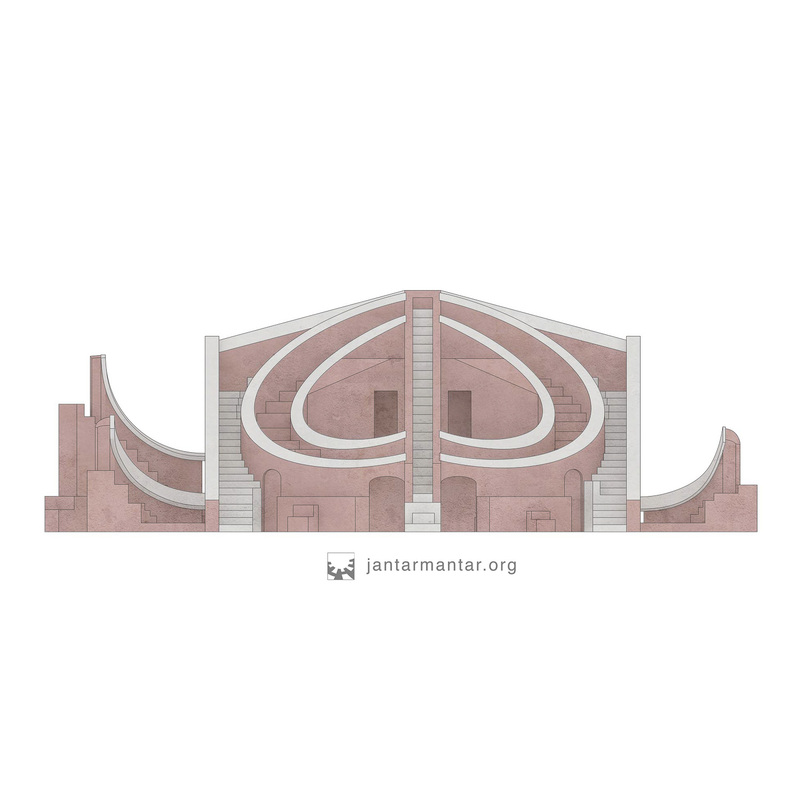 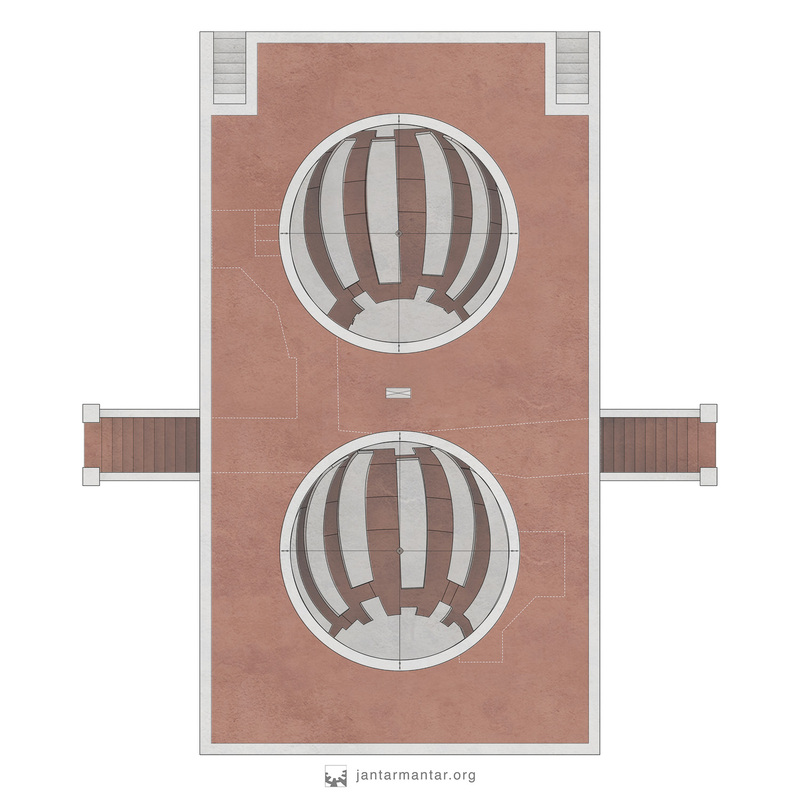 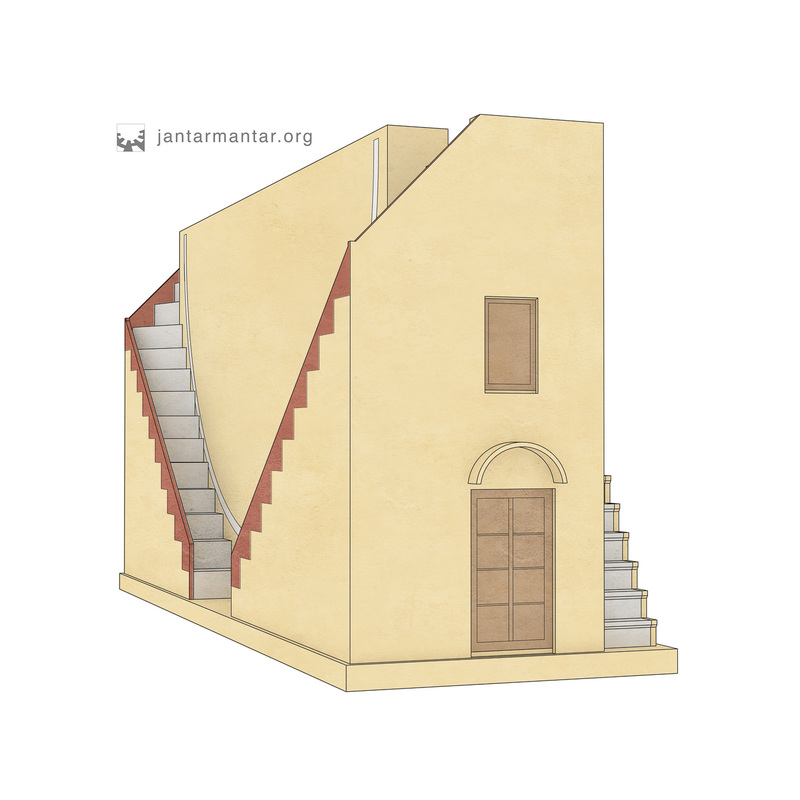 Our first 3D model was the Samrat Yantra at Jaipur, which we used to create a virtual world for SciCenter, an educational space in Active Worlds. More recently, we used 3D models as part of a live presentation inside the Adler Planetarium in Chicago. Models have been created over the years by several architecture students at Cornell, based on measurements from Virendra Sharma, drawings from G.R. 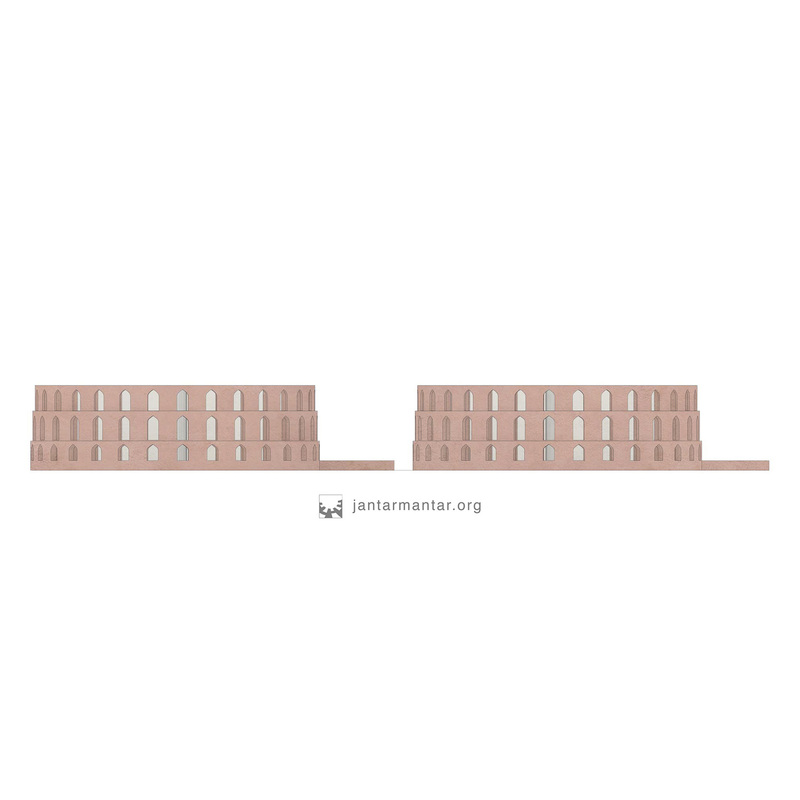 Kaye and Andreas Volwahsen, and our own panoramic photographs. 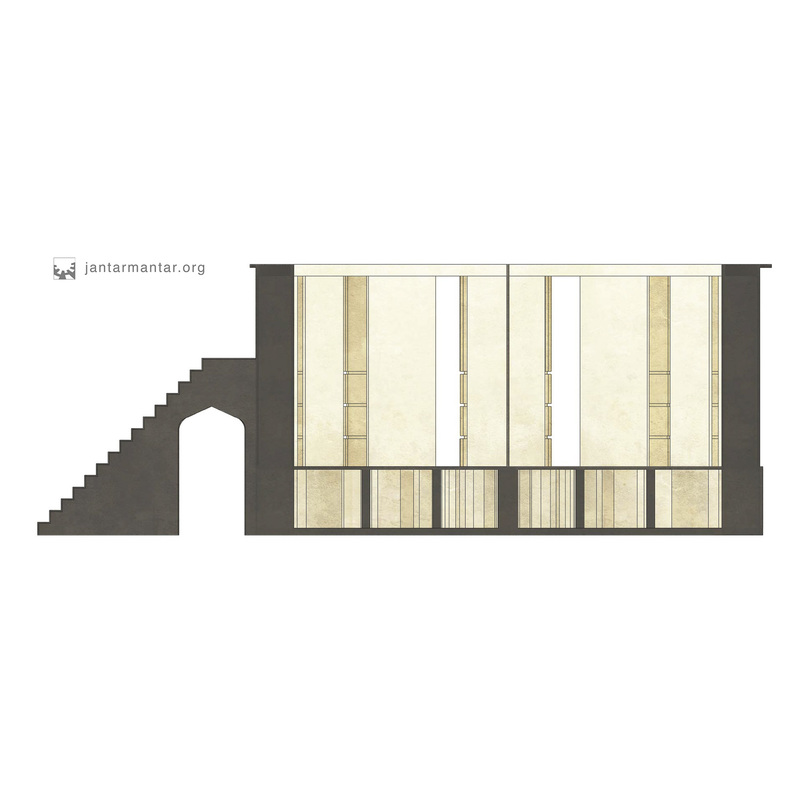 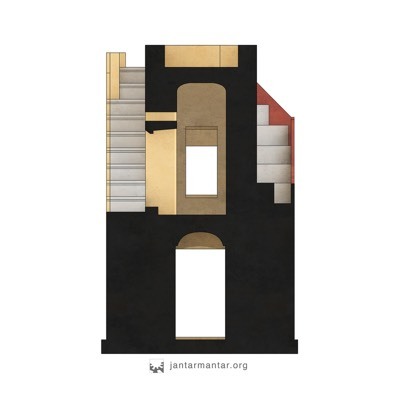 The renderings include surface texture and color to give a sense of the originals, but are not meant as an exact match. 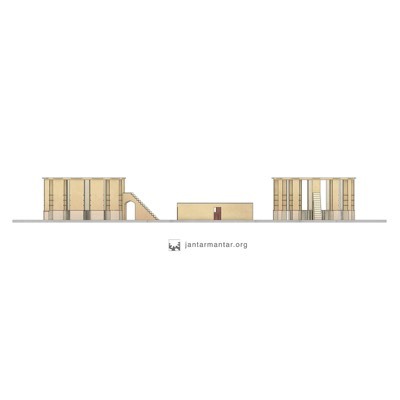 The models and renderings in these galleries were created by Bei Xu, Cornell M.Arch 2017. 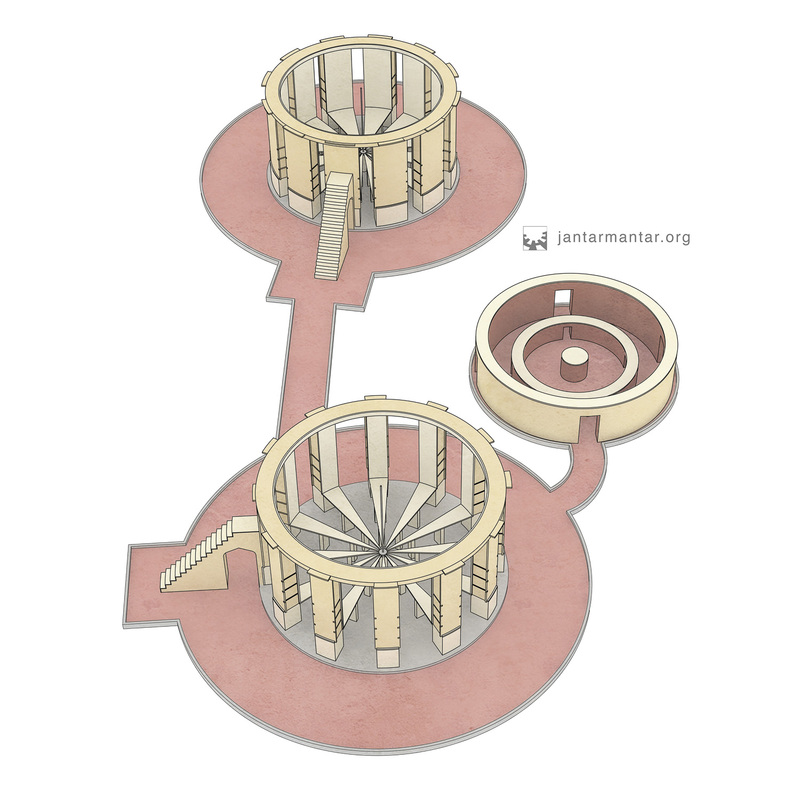 The Nadivalaya Yantra at the Jaipur Observatory. 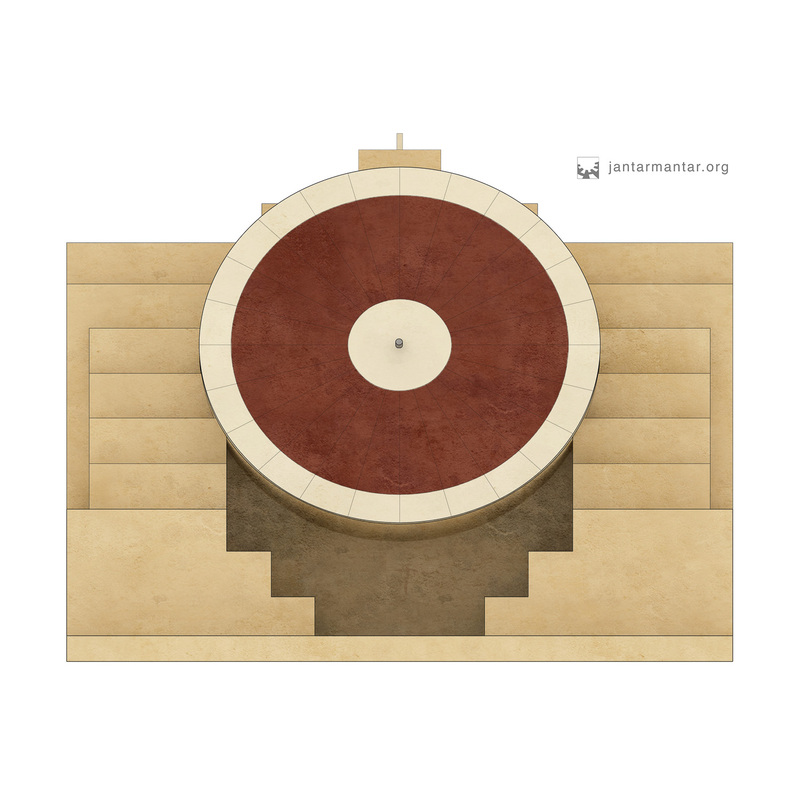 The Nadivalaya is an equinoctial sundial with circular surfaces oriented parallel to the equatorial plane. 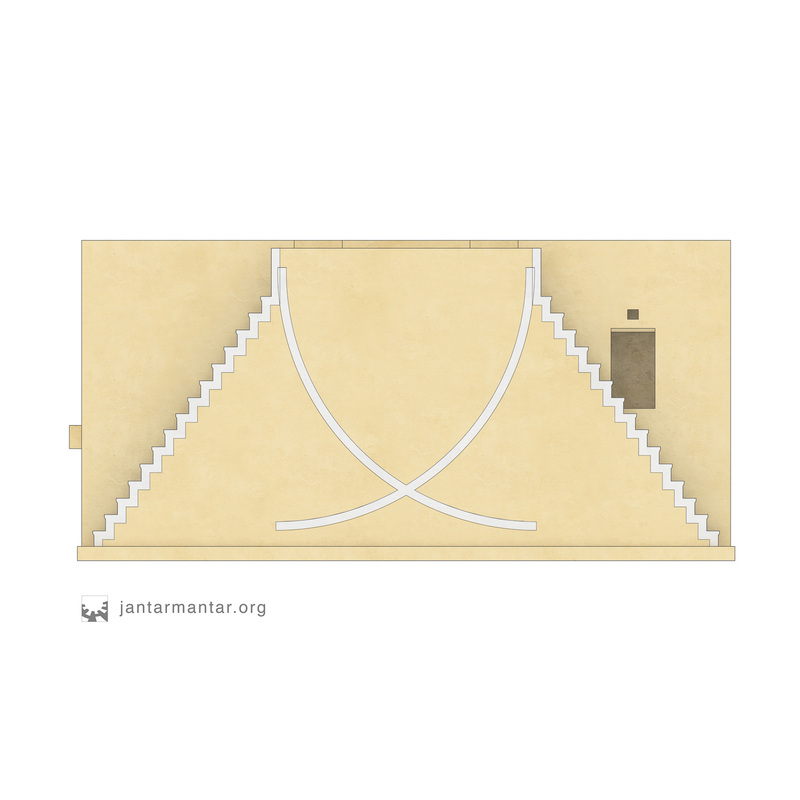 One surface faces north, the other south. A metal pin projecting from the center of the surface, parallel to the earth’s axis, is used to cast a shadow on the circular surface.